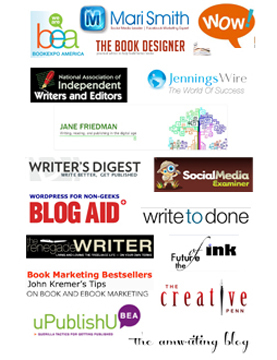 How to Protect Your Blog Content - Write Nonfiction NOW! If someone steals your car or wallet, you know who to call for help. But what do you do when someone steals content from your website and blog? Sooner or later, it will happen. Content scrapers are programs that pick up RSS feeds and repost them on various sites. If you are lucky, the scraper will include your name and a link back to your blog. Often, that information is removed. While some content theft may be unavoidable in the internet age, you should draw the line if someone steals key content, such as an excerpt of your book or the organizing concepts behind your brand. 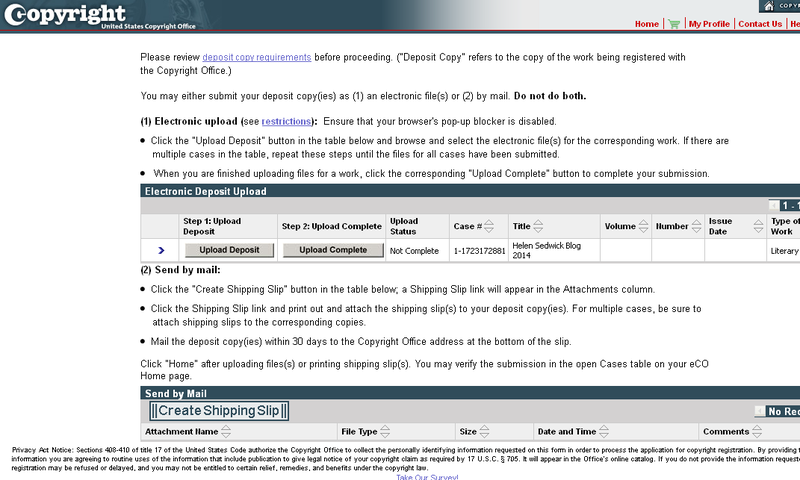 In an earlier post, I discussed the process of sending take-down notices; Do-It-Yourself Copyright Protection. Now let’s go a few steps further. the copyright holder’s name or pseudonym. Also add All Rights Reserved. While not legally required, it’s a good practice, especially now that so much content is offered for free under Creative Commons licenses and labeled Some Rights Reserved or No Rights Reserved. You want your content to be shared, not stolen. Write up Content Usage Guidelines that spell out what uses are permitted without permission, such as the number of words which may be copied, and how to give attribution and links back to your site. If you post guidelines, you are in a better position to quote them when you contact anyone who uses your work without permission. 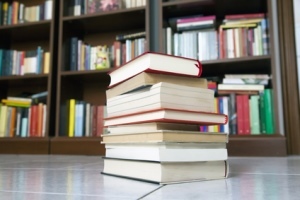 Here are some sample content usage guidelines: HubSpot, InfusionSoft and CrazyEgg. If you take the added step of registering your web content and blog posts, you will be able to go after infringers for statutory damages, meaning you do not have to prove lost sales. Statutory damages are between $750 to $30,000 per work (and up to $150,000 per work if the infringement was willful). Plus, you may recover attorney’s fees and costs, making it easier to hire a lawyer on a contingency fee basis. There are a few tricks to registering web content. Without knowing these tricks, you are likely to run into a bureaucratic brick wall. 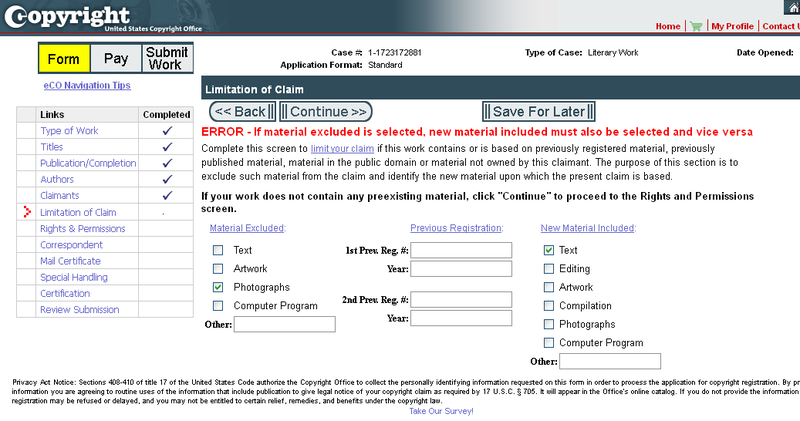 Trick 1: The Copyright Office Considers Web Content to be Unpublished This surprised me. 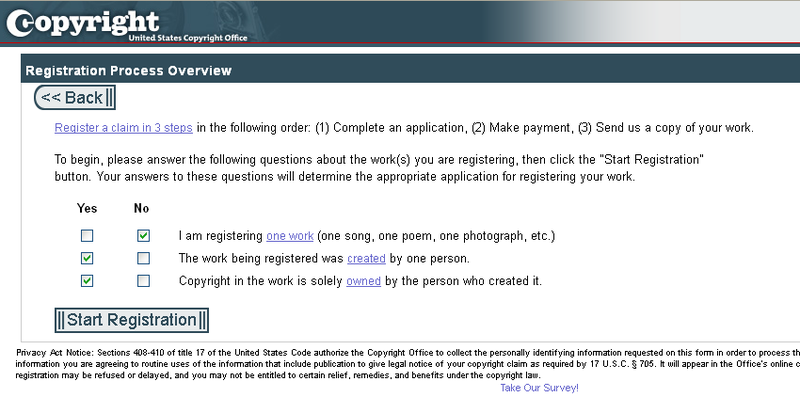 I spent a good 45 minutes discussing it with a senior registration specialist at the Copyright Office. 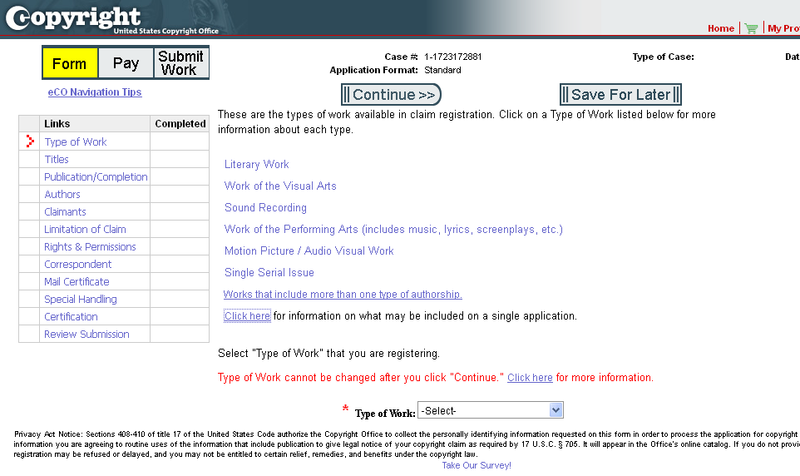 But as of 2014, the Copyright Office is still using a definition of “published” that dates back to the disco era, the 1980s. To them, “published” means the distribution of tangible material, typically printed.Obviously, this is confusing to those of us living in the 21st Century. 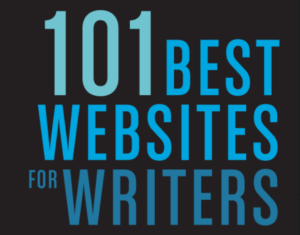 After all, nothing is more widely distributed than web content. When you upload posts through WordPress or Blogger, you click Publish. But as far as the Copyright Office is concerned , web content is a display, not a publication.This position does not hurt you. 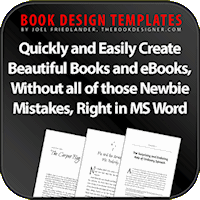 Unpublished works get the same protection as published work. Same legal rights, same legal remedies. Trick 2: Register Your Posts as a Collection of Unpublished Works as a Single Claim Here’s the benefit of calling your web content unpublished: you may register multiple blog posts under one application (and one fee) as a “collection of unpublished work.” If you tried to register blog posts as published work, you would have to submit a separate application and fee for each post because an application may cover work published in a single day only. Let’s walk through the registration process. In preparing to write this post, I decided to register my blog posts for 2014. I started at the U.S. 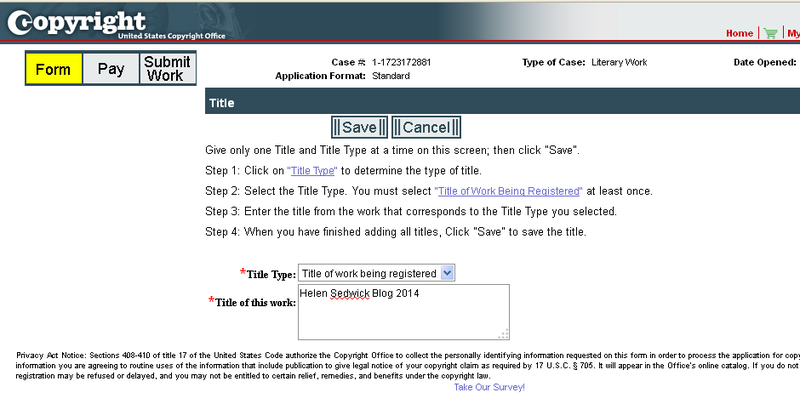 Copyright Office online registration site and clicked Log In to eCo. (If you do not have an account, you will have to create one. ) As a preliminary step, I had to disable my pop-up blocker. On the next page, I clicked on Register A New Claim (far left column) and was taken to the Registration Process Overview page. My blog is all text, with a few incidental images, so for Type of Work at the bottom of the page, I selected Literary Work. For more information on the different types of work, click on the shaded links. On the next page, I inserted the title of the work. I used “Helen Sedwick Blog 2014.” Nothing fancy. Here is the next screen. Remember for this application, your work has not been published, so don’t be tempted into changing that to “Yes.” I entered the year in which the blog posts were created, 2014. I did not have a preregistration number. On the next screen, I noted what portions of the blog I had created, namely text. Some bloggers will also check photographs, artwork, etc. On the next screen, they ask for information about the copyright claimant, me. I typed in my name, address and contact info. Next, I was asked what portions of my blog are excluded from the registration application. You should exclude any material you did not create and any previously registered material. In my case, I excluded images since I use stock or public domain images. I also checked the New Material Included text. If you have guest posts, click on Other and list the excluded posts. The next screen asks if you need special handling. You would fill this out if you were heading toward litigation and needed expedited service. I skipped it. I went through several pages where I identified contact person, copyright holder, etc. Finally, I was sent to a payment site that is similar to many you have already seen. The fee for a collection of work is currently $55. After payment, I was sent to the page that explains the Deposit Requirements. I clicked on Create Shipping Slip and printed it. This next step is important. 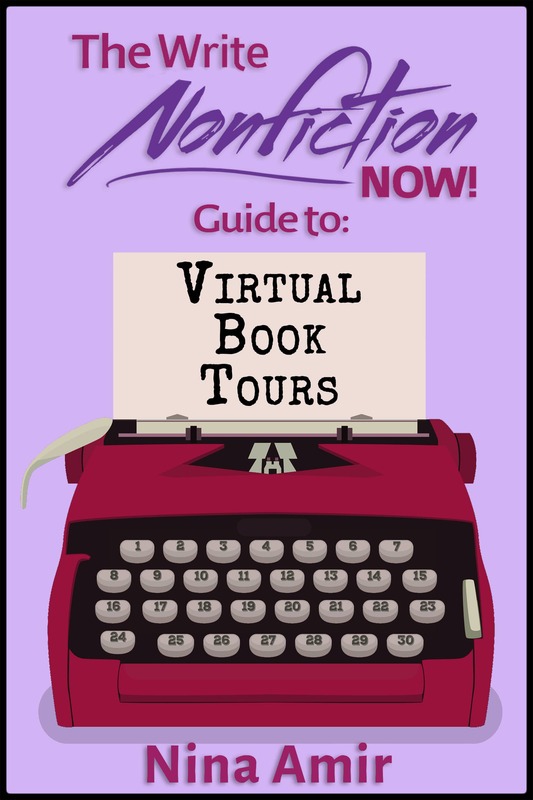 On the day you submit the online application, go to your online blog and print out all the blog posts you are registering. Yes, that may be fifty or a hundred pages. If that is too voluminous, click on Deposit Copy Requirements for alternatives. This process is easy. It took me more time to describe the application than it took to complete it. Remember that none of these measures stop theft. There will always be people looking to get something for nothing. But registering your web content will give you additional leverage for stopping infringement and the opportunity to recover monetary damages when it happens. 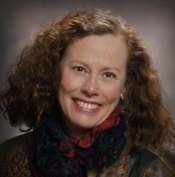 Writer and lawyer Helen Sedwick has thirty years of experience representing businesses and entrepreneurs as diverse as wineries, graphic designers, green toy makers, software engineers, investors, restaurateurs, and writers. 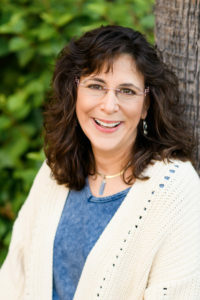 Her newest release Self-Publisher’s Legal Handbook: The Step-by-Step Guide to the Legal Issues of Self-Publishing is assisting indie author in navigating the legal minefield of self-publishing and blogging. Her historical novel Coyote Winds earned five-star reviews from ForeWord Reviews and Compulsion Reads and is an IndieBRAG Medallion Honoree. For more information about protecting your rights and your wallet, email her at Helen@helensedwick.com or visit http://helensedwick.com/. Very helpful. Thank you for posting this. I wanted to follow up on this post to let readers know that my registration of my blog posts was successful. I received the Certificate of Registration last week. Be sure to follow the steps I outlined above. Because the law was written in the 1980s, well before the internet , web content and blog posts are generally considered “unpublished” for registration purposes. However, you still get all the protections of a published work. A very practical post, thanks! 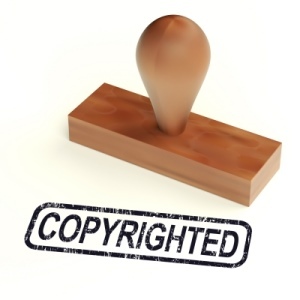 One error is that the year in the copyright notice should be the year the material is first published or available to the public – not when it was created. Thanks for your comment, Lesley. I did run this by my intellectual property attorney… but I’ll definitely ask him about your correction. I’m not sure about that. I’ll ask Bob Pimm. You are registering a compilation of posts. So it is the date you register that compilation. If you register once a quarter, you won’t run into this so much.